Just like fashion and entertainment, marketing goes through trends quickly; some marketing trends stick and some fade – some even make comebacks. 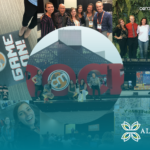 In celebration of Allee Creative’s 10-year anniversary, we’re reflecting on the past decade and experiencing nostalgia for past marketing trends. Take a walk down memory with us to see how quickly some things have gone from ‘suggestions’ to ‘necessities,’ and celebrate the marketing trends that have endured the test of time. 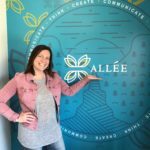 Allee Creative started in 2006, which was also the year some of the major social media platforms came on the scene. Facebook, which launched in 2004 to students only, opened its platform to anyone with a registered email in 2006. This was the year Twitter was born as well. 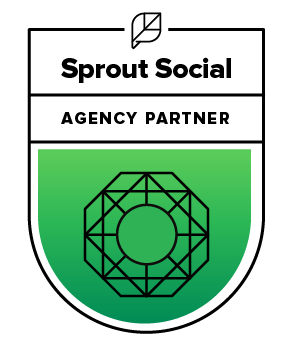 And although many of our clients were not ready for content marketing strategies that included the use of social media, each year after saw more strategies that included social; these platforms are still ruling the marketing world. Advertising, sales and content marketing should never be developed in silos and the line between paid and organic content can become blurred. In fact, in 2007, Chief Marketer said there “will be a sudden and disturbing recognition that there is no standard between paid and non-paid consumption, and that there are no norms when it comes to the extent to which the content is wholly created by consumers or assisted by marketer.” Marketers were becoming hip to the new meaning of blurred lines. This was the year marketing experts really started to move ad dollars online. While the Yellow Pages may seem like a waste of paper to many of us now, Entrepreneur was just suggesting moving some Yellow Pages ad dollars to online advertising in 2008. And each year since, we’ve seen more ad spend move to online media. 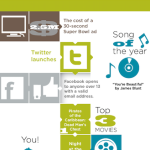 While the term crowdsourcing was coined in 2006, marketers were just starting to understand how to use it in 2009. This was the year Small Business Trends advised readers to ask for and monitor feedback from their customers and then actually use that information strategically. Hmmm, does user-generated content ring any bells? We think so! Today, mobile marketing is its own beast, but in 2010 Entrepreneur was just suggesting businesses start experimenting with it. At the time, microsites were how a lot of brands were testing the waters. Now, if you don’t have content that is optimized for mobile – either through responsive website design, use of SMS campaigns or otherwise – you are being left in the dust by your competitors. 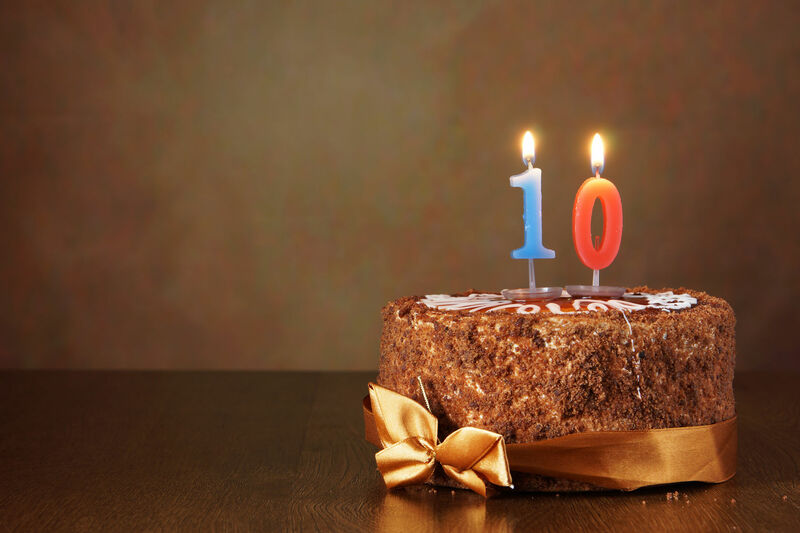 All the past years’ trends accumulated to 2011’s big realization – customers can make or break a brand. Brand Strategy Insider said it best “value is what the consumer says it is.” Marketers were now embracing the importance of creating content the consumer really wanted, not what marketers thought they wanted. While we are all still trying to perfect our methods, it takes a combination of all the trends above and below to find out want the customers want and to deliver it to them in a way they like. American Express’s Open Forum, quoted Wayne Gretsky; “I don’t skate to where the puck is; I skate to where the puck will be.” That became every marketer’s goal in 2012 – be in on trends in real-time, not after they have become worn-out. Marketers were (are still are) striving to know what hashtags and topics are gaining popularity and create relevant content quickly. But more than that, it’s about showing your customers and audiences that you are in it with them – that you’re not just scheduling content, but having conversations with them, in real time, to provide solutions to their pain points. This realization is vital to understand and our CEO has been talking about it for years (well before 2014). The purchase funnel we all learned in Sales and Marketing 101 is no longer. The way for brands to communicate on an emotional level and provide value to customers is to choose the right (multiple) platforms and engage on the customers’ levels. There is no one direct path to purchase. By introducing digital marketing years ago, we’ve opened up the funnel and have given customers the control on where, when, how and why they vet us online. Your audiences can be in the awareness, assessment, sale or post-sale stage(s) at any given time. Be prepared with content for all levels. In 2015 marketers really began to realize that technology had changed the possibilities for content, and every brand and industry had the resources readily available to create content. Reports showed that 86% of brands planned on increasing their video ad spending in the next year to create everything from vlogs to whiteboard videos. Video was the next ‘big thing’ in the marketing game. As online channels, platforms and tactics are introduced and/or improved, so are the processes in which we use them (as marketers and consumers). Just this month both Instagram and Twitter changed up their algorithms to make the user experiences better; these platforms are using online information to determine how, when and where you see content in your newsfeeds. Enter an increase in pay-to-play strategies. You’re not just competing with brands anymore, you’re competing with the platforms’ algorithms and organic content justifications. Digital (read: social) marketing budgets are necessary to stay in the game. What are your thoughts? Did you experience the same during the past 10 years? At the time, did you realize how big some of these strategies and tactics would be? How have they influenced your marketing strategies through the years?